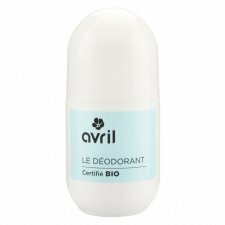 This deodorant offers a natural protection against unpleasant odors, allowing the skin to breathe and without blocking sweating, giving a pleasant feeling of clean and fresh. It does not contain antiperspirants, aluminum salts, potassium alum or alcohol. Based on botanical extracts of burdock, iris and calendula and with Moisturizing and protective Aloe Gel and burdock root extract to purify and restore balance. For all skin types, even the most sensitive ones. 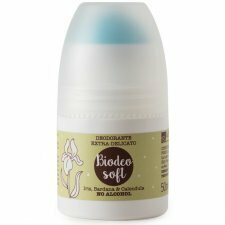 A delicate deodorant with hemp, sage and lemon to drive bad thoughts and odors! He knows it fresh and clean, does not irritate and blocks the bacterial development due to bad smells. Handmade with active ingredients and organic certified, it is perfect for warfare for bad smells but to stay in peace with yourself, your skin, and our Earth. Organic certificate. 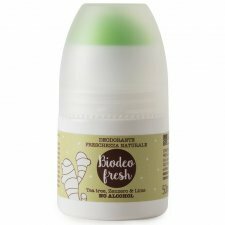 The gentle formula and enriched with organic plant extracts, gives freshness and deodorizes effectively, without changing the natural perspiration. With Salvia and organic Chamomile. Vital and marine notes for a total feeling of freshness. Free of alcohol and salts of aluminum. Nickel tested. 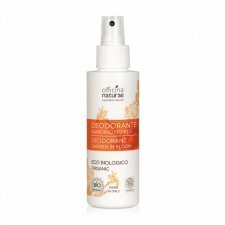 The gentle formula, enriched with organic plant extracts, gives freshness and deodorizes effectively, without changing the natural perspiration. A bouquet of delicate floral scents guarantees an enjoyable day. Deodorant for man with a fresh and delicate fragrance. Especially suitable for sensitive skin that does not inhibit the natural perspiration of the skin. Its gentle formula deodorizes thanks to the synergy between the triethyl citrate, derived from the unripe fruit of cherries and currants, and the grapefruit seed extract and does not inhibit the skin's natural transpiration process. Deodorant for woman from delicate and light scent left by pleasant floral notes. 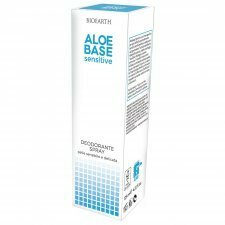 Especially suitable for sensitive skin that does not inhibit the natural perspiration of the skin. Its gentle formula deodorizes thanks to the synergy between the triethyl citrate, derived from the unripe fruit of cherries and currants, and the grapefruit seed extract and does not inhibit the skin's natural transpiration process. Ideal for insurance at any time of day, sweetness, freshness and prolonged welfare. Natural deodorant suitable for all the family but designed for anyone who is still a child or teenager, but want to use a natural product as "great." The scent is fresh and delicate. Especially suitable for sensitive skin that does not inhibit the natural perspiration of the skin. Its gentle formula deodorizes thanks to the synergy between the triethyl citrate, derived from the unripe fruit of cherries and currants, and the grapefruit seed extract and does not inhibit the skin's natural transpiration process. Deodorant for the body, fragrance free. 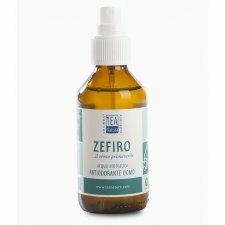 Normalizes perspiration and does not alter the normal process of sweating. 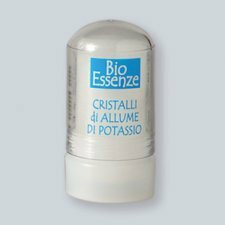 Potassium Alum is completely natural: it does not contain aluminum hydrochloride or harmful chemicals. 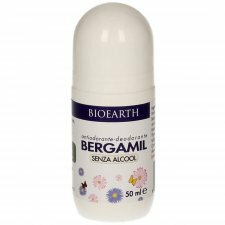 It allows the skin to breathe naturally, eliminating the bacteria that cause bad odours. Recommended for those whith a sensisite skin. Usage: Gently soak the crystal and wipe the skin in the areas to be protected from unpleasant odors. You can also use it to soothe the feet of uniting water foot bath. It can also be used as a hemostatic for small cuts determined by the razor blade, or by small blades. Important: Once the stone used is recommended to dry it. 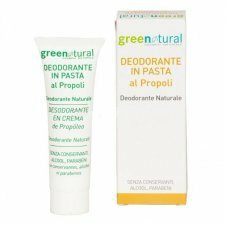 Natural deodorant in paste enriched with propolis extract, gives freshness for a long time without blocking the natural perspiration of the skin. 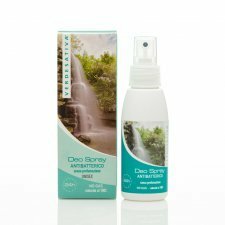 A minimal amount distributed to the affected areas keeps the deodorizing effect for several days. Free of preservatives, alcohol, parabens. A must to start a full day with serenity! 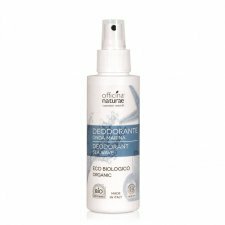 This certified organic roll-on deodorant contains chamomile flower extract, soothing this often irritated zone. The formulation of "Cloris" is designed to ensure an effective response in case of excessive underarm sweating. The combination of Tea Tree Oil and-vegetable ingredients such as: Lichen of Iceland, Guarapa Guaineensis, Leptospermim scoparium, ensure naturally antibacterial, antifungal and anti-odor. 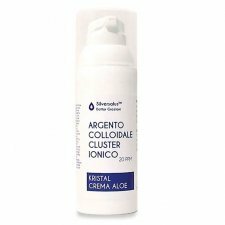 Moreover, the presence of aloe gel gives moisturizing, emollient, soothing and dermo-protective. The aroma is delicate and sensual at the same time thanks to the essential oils of lavender, clary sage, peppermint, tangerine, sweet orange and pink damask. 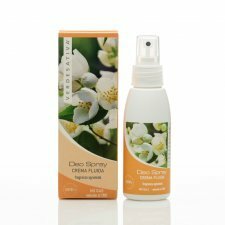 Based on botanical extracts and pure essential oils, this deodorant offers a complete natural protection against the formation of bad smells, while allowing the skin to breathe and giving it a fresh scent of thyme (antiseptic and useful against hypersensation), sage ( astringent, anti-hysterectomy and dermopurifying), tea tree (bacteriostatic properties) and lime. Suitable for all skin types, even the most delicate thanks to the presence of Aloe Gel by the moisturizing and protective action. It does not contain alcohol, aluminum salts and potassium alum. 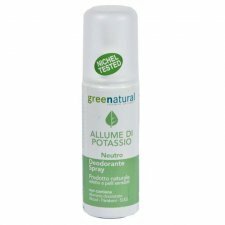 Potassium alum deodorant natural antibacterial thanks to the presence of minerals that create an environment hostile to the proliferation of bacteria cause odors. It does not inhibit perspiration and does not change the normal sweating. The presence of glycerol instead brings nourishment and hydration to the skin. Fragrance free, it normalizes perspiration and refreshes the skin naturally.